Max ER2700 Fully Automatic Calculating Clocking In Machine. 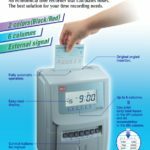 This unique time clock will accurately calculate each employees hours worked for you on the clock card, saving time and money! 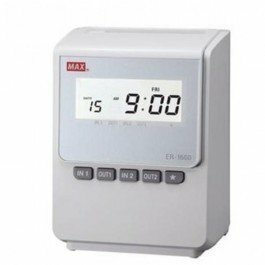 Max Automatic Calculating Time Clock – Max ER2700 Fully Automatic Calculating Clocking In Machine. 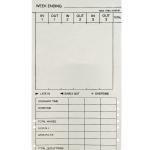 This unique time clock will calculate each employees hours worked for you on the clock card, saving time and money!